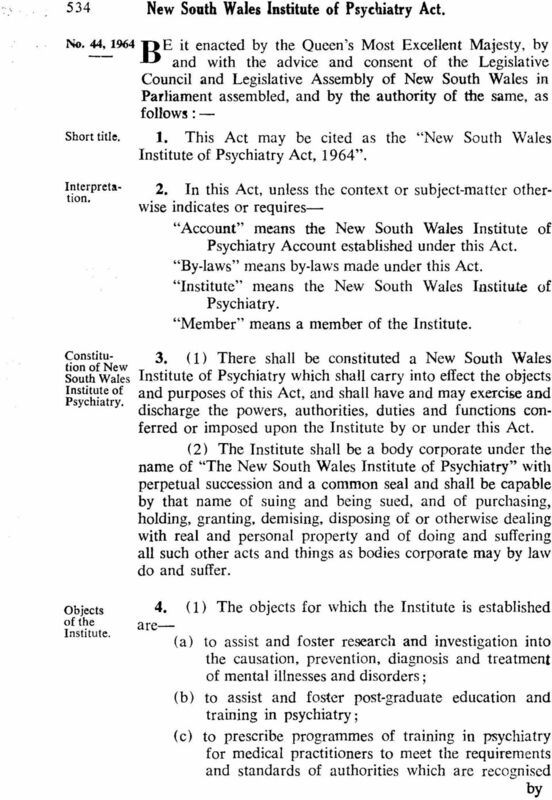 Download "NEW SOUTH WALES INSTITUTE OF PSYCHIATRY ACT. Act No. 44, 1964." 8 (3) An alternate member shall during the period for which he is appointed to act as such have all the powers, authorities, duties and functions of a member and be deemed to be a member. 13. 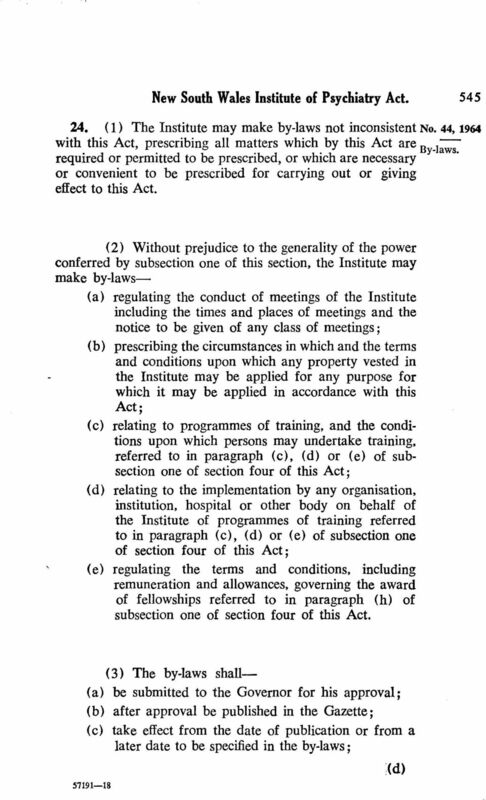 (1) The procedure for the calling of meetings of the Institute and for the conduct of business at those meetings shall, subject to any by-laws in relation thereto, be as determined by the Institute. 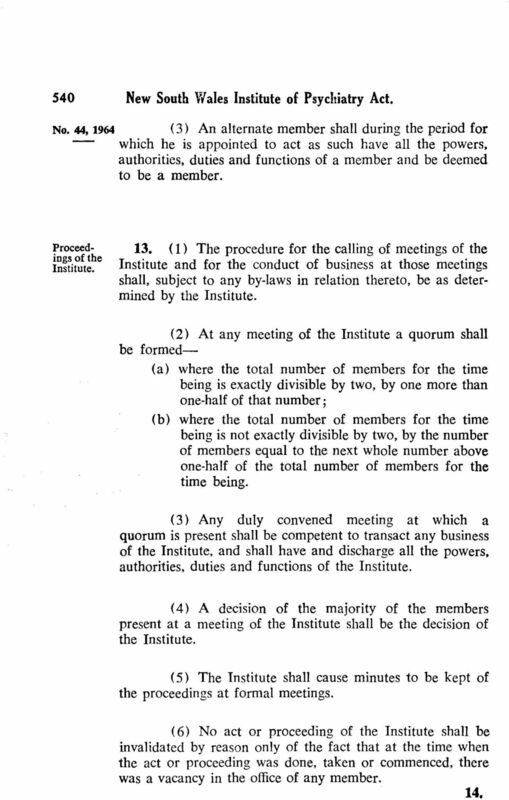 be (2) At any meeting of the Institute a quorum shall formed (a) where the total number of members for the time being is exactly divisible by two, by one more than one-half of that number; (b) where the total number of members for the time being is not exactly divisible by two, by the number of members equal to the next whole number above one-half of the total number of members for the time being. (3) Any duly convened meeting at which a quorum is present shall be competent to transact any business of the Institute, and shall have and discharge all the powers, authorities, duties and functions of the Institute. (4) A decision of the majority of the members present at a meeting of the Institute shall be the decision of the Institute. 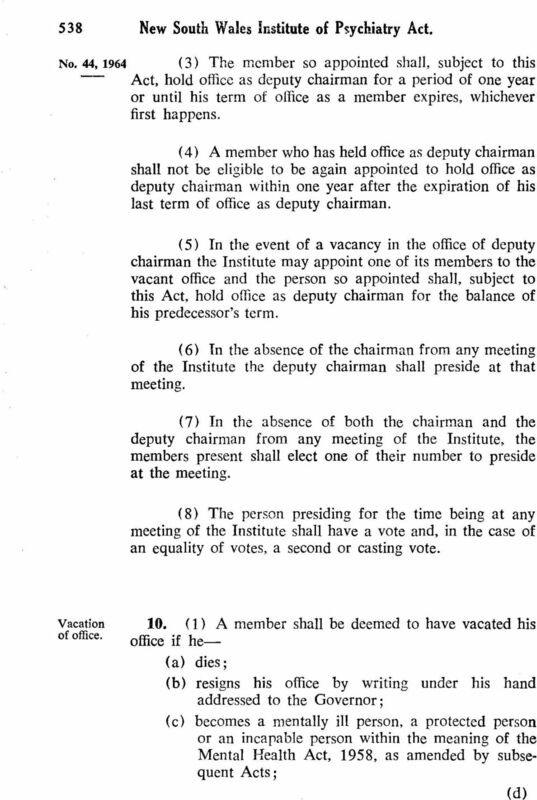 (5) The Institute shall cause minutes to be kept of the proceedings at formal meetings. 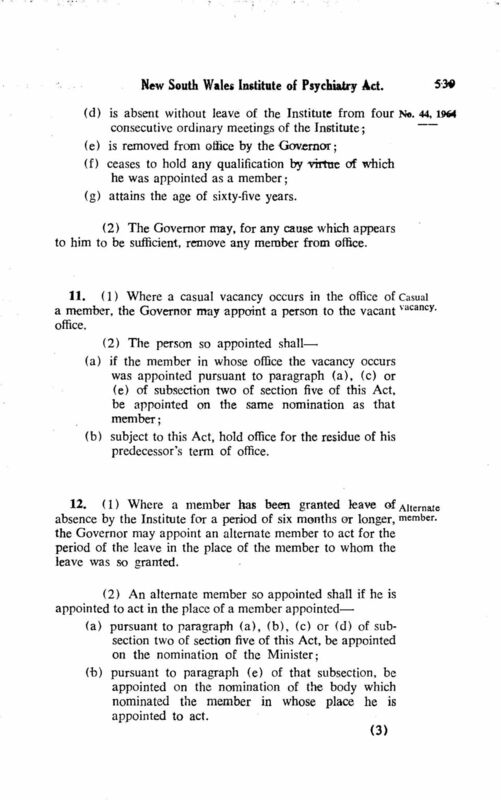 (6) No act or proceeding of the Institute shall be invalidated by reason only of the fact that at the time when the act or proceeding was done, taken or commenced, there was a vacancy in the office of any member. 14. 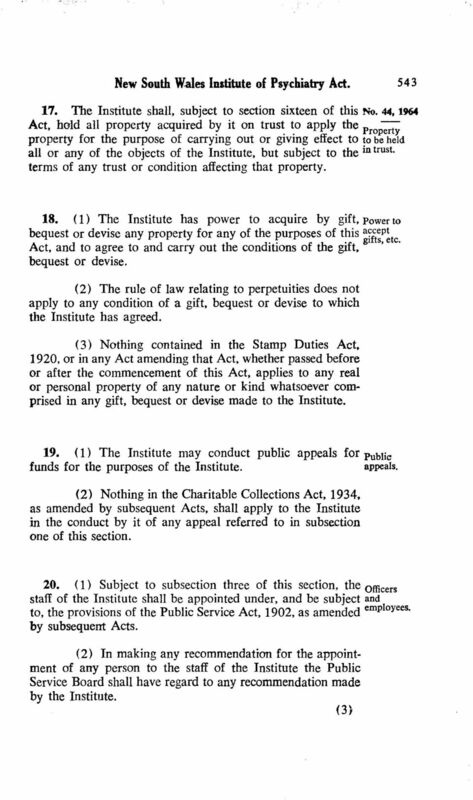 10 (2) There shall be placed to the credit of the Account (a) any moneys appropriated by Parliament for the purposes of this Act; (b) any moneys received by the Institute from any other source for any of the objects of the Institute. (3) The moneys in the Account may, subject to the terms of any trust or condition affecting those moneys or any part thereof, be applied (a) for the purpose of carrying out or giving effect to all or any of the objects of the Institute; (b) without limiting the generality of paragraph (a) of this subsection, in making grants (i) to institutions, hospitals, departments or other bodies or to individuals for, or for the encouragement of, research or investigation into the causation, prevention, diagnosis or treatment of mental illnesses or disorders ; (ii) to institutions, hospitals, departments or other bodies for carrying out, or for the encouragement of, any training or education which the Institute itself is entitled to provide or promote; and (c) in meeting the costs of administration of this Act. 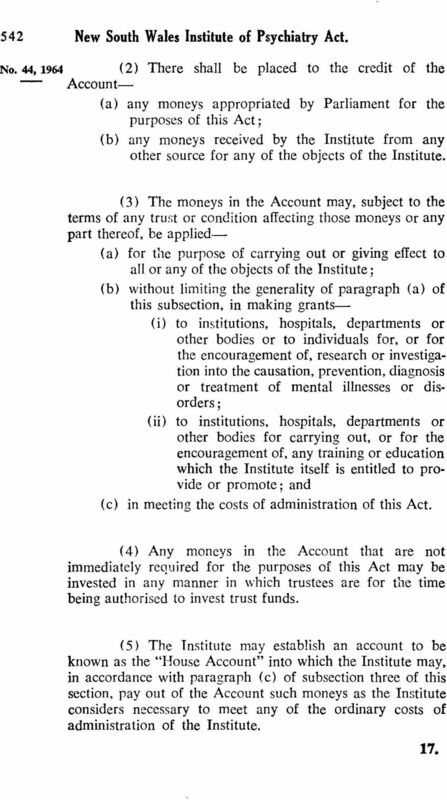 (4) Any moneys in the Account that are not immediately required for the purposes of this Act may be invested in any manner in which trustees are for the time being authorised to invest trust funds. 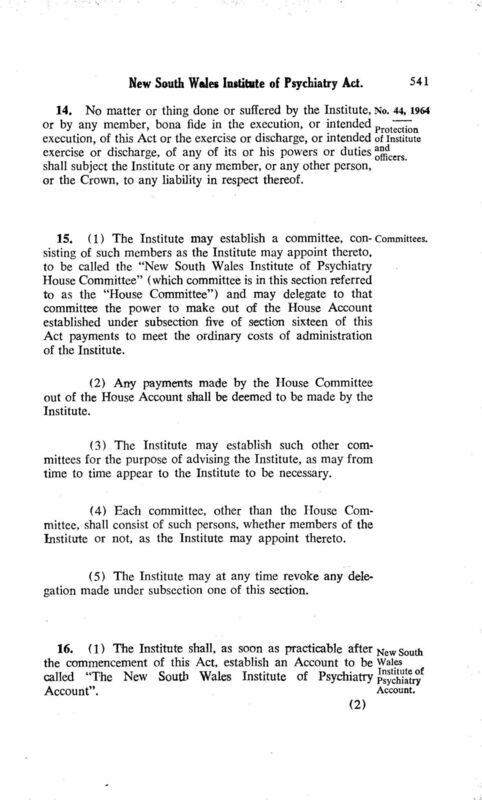 (5) The Institute may establish an account to be known as the "House Account" into which the Institute may, in accordance with paragraph (c) of subsection three of this section, pay out of the Account such moneys as the Institute considers necessary to meet any of the ordinary costs of administration of the Institute. 17. 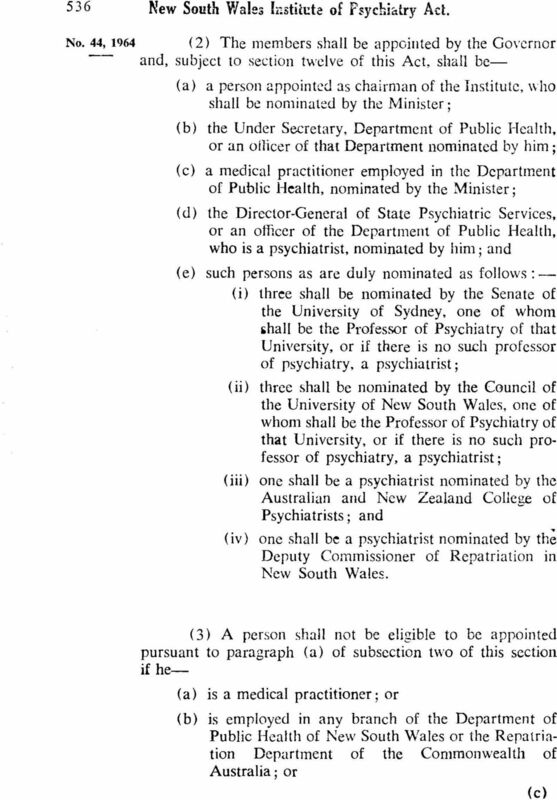 12 (3) Subject to the approval of the Public Service Board, the Institute may appoint and employ, otherwise than in a full-time capacity, such persons possessing medical, scientific or technical or other para-medical qualifications, as may be necessary for carrying out the provisions of this Act. Salaries and fees payable pursuant to this subsection shall be part of the costs of administration of this Act. (4) For carrying out the provisions of this Act, the Institute, with the approval of the Department concerned, and the Public Service Board, may make use of the services of any of the officers and employees of the Public Service. 21. 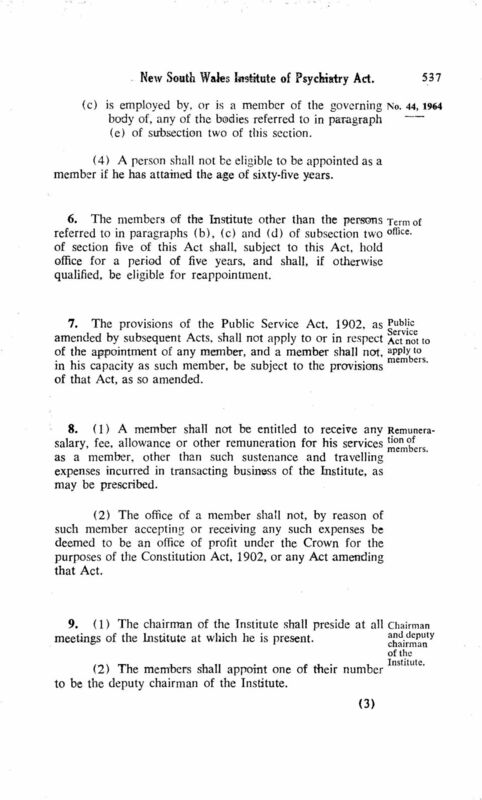 The Institute shall cause to be kept proper books of account in relation to the funds of the Institute and shall, as soon as practicable after the thirtieth day of June in each year, prepare and submit to the Minister for presentation to Parliament, a statement of accounts in a form approved by the Auditor-General exhibiting a true and correct view of the financial position and transactions of the Institute. 22. 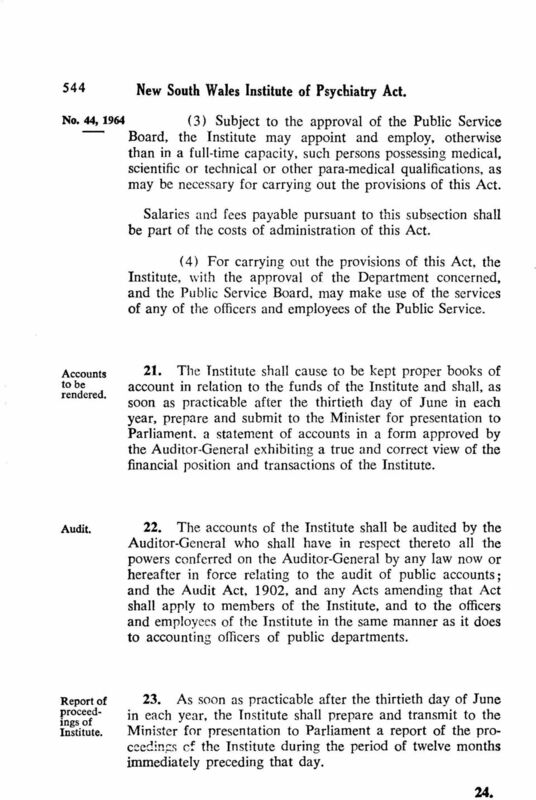 The accounts of the Institute shall be audited by the Auditor-General who shall have in respect thereto all the powers conferred on the Auditor-General by any law now or hereafter in force relating to the audit of public accounts; and the Audit Act, 1902, and any Acts amending that Act shall apply to members of the Institute, and to the officers and employees of the Institute in the same manner as it does to accounting officers of public departments. 23. As soon as practicable after the thirtieth day of June in each year, the Institute shall prepare and transmit to the Minister for presentation to Parliament a report of the proceedings cf the Institute during the period of twelve months immediately preceding that day. 24. 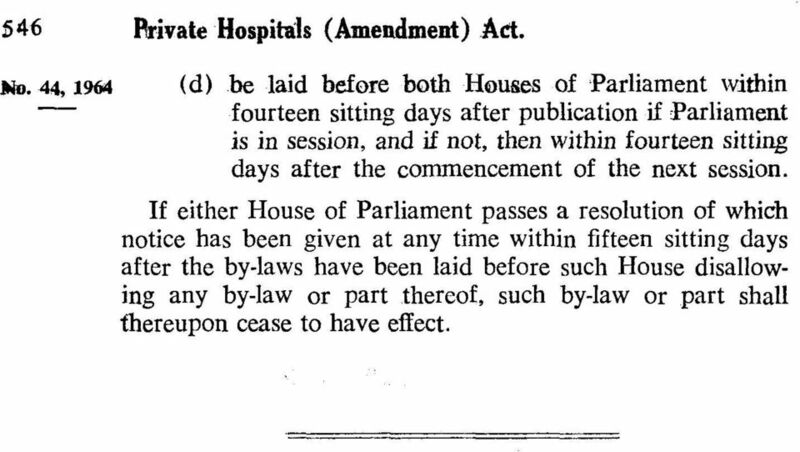 14 (d) be laid before both Houses of Parliament within fourteen sitting days after publication if Parliament is in session, and if not, then within fourteen sitting days after the commencement of the next session. If either House of Parliament passes a resolution of which notice has been given at any time within fifteen sitting days after the by-laws have been laid before such House disallowing any by-law or part thereof, such by-law or part shall thereupon cease to have effect. GOVERNMENT INSURANCE (ENABLING AND VALIDATING) ACT. Act No. 18, 1927. 573 THE QUEENSLAND ART GALLERY ACT of 1959 8 Eliz. 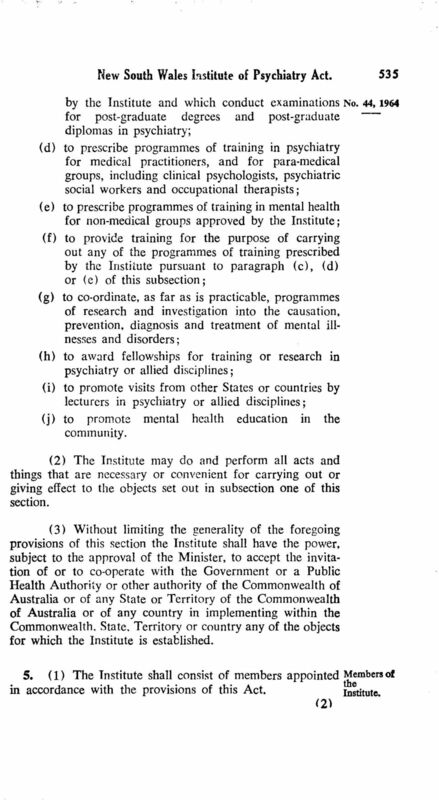 2 No.7 An Act to Make Provision with Respect to the Administration of the Queensland Art Gallery, and for other purposes. 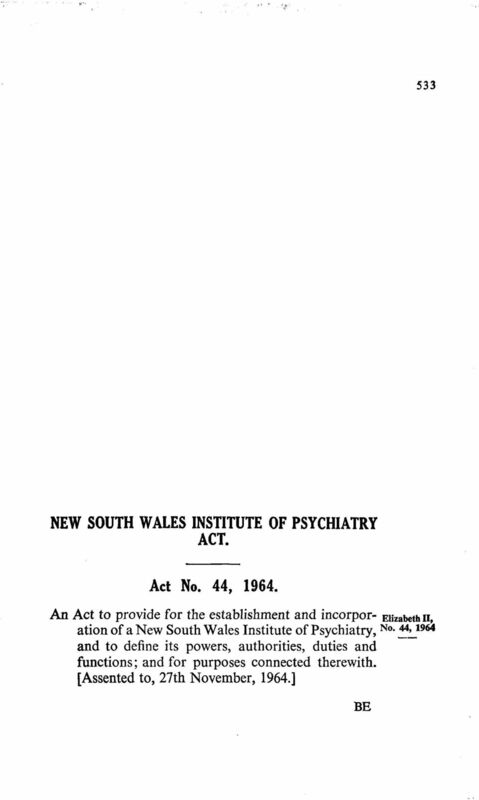 [Assented to 6 April 1959] 1. THE STANDARD INSURANCE COMPANY LIMITED AND CERTAIN OTHER INSURANCE COM PANIES ACT. Act No. 18, 1963. UNIVERSITY AND UNIVERSITY COLLEGES (AMENDMENT) ACT. Act No. 30, 1937. TOTALIZATOR (OFF-COURSE BETTING) ACT. Act No. 1,1964. Medical Education. 20. General powers of Council. 21. Delegation of powers. 22. Rules. 24. Annual grants to Council. 25. Gifts. 26. AMBULANCE TRANSPORT SERVICE AND CROWN EMPLOYEES APPEAL BOARD (AMENDMENT) ACT. Act No. 10, 1962.
acts & statutes INDIAN INSTITUTE OF TECHNOLOGY KHARAGPUR 721 302 ACTS & STATUTES INDIAN INSTITUTE OF TECHNOLOGY KHARAGPUR - 721302 i CONTENTS ACTS Chapter I : Preliminary. 1 Chapter II : The Institutes. STOCK (ARTIFICIAL INSEMINATION) ACT. Act No. 11, 1948. An Act to make provision with respect to the control and regulation of the artificial insemination of stock; and for purposes connected therewith. FINANCES ADJUSTMENT (RELIEF OF UNEMPLOYMENT AND PUBLIC SERVICE SALARIES) ACT. Act No. 3, 1933.